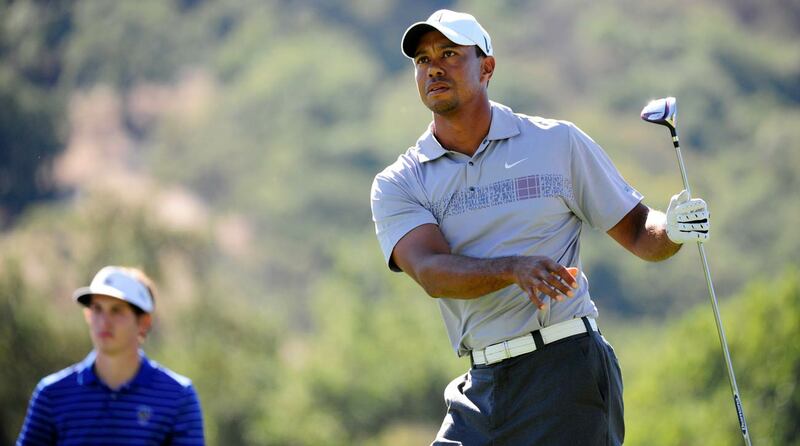 #AskAlan: When will the golf media stop making Tiger Woods the priority? I was on the road on Monday and did something I rarely do: read the USA Today print edition. The whole top of the article was about Tiger, and I have to admit my heart sank. But reporters and editors and TV networks are simply giving fans what they want; whether it's Internet clicks or Nielsen numbers, it's very easy to quantify the interest in Tiger, which is a few orders of magnitude larger than any other golfer. At this point we're all like prisoners of war when it comes to Tiger: it's often torturous, we want to escape, but we simply can't. I think it's time to stop fighting it and fall in love with our captor. One more injury could end his career. More Sunday failures could convince him to stop grinding and transition into the next phase of his life. The only sensible thing to do is embrace these opportunities to watch Tiger play the game he reinvented, because it could all end quickly, at which point we can give the Patrick Cantlays of the world our full attention. This day is coming, and soon. Over the years that was how TV learned to treat Jim Furyk's ornate pre-shot tics. Now that Cantlay is becoming a regular contender, the TV folks will have a better feel for his painfully slow pace of play and can smash-cut accordingly. But it becomes problematic late on Sunday, when there are fewer and fewer players left on the course and/or in contention. At some point there's no one left for the cameras to find. So, hopefully the kid will learn to pull the trigger while we're, ahem, young. The swing wasn't quite as dramatic but the most recent example would be Jordan Spieth at last year's Open Championship – he bogied five of the first 13 holes before his birdie-eagle-birdie-birdie finishing kick. But what Ariya Jutanugarn did was absolutely incredible, kicking away a 7-stroke lead but somehow rallying to salvage the victory. In a weird way it's more impressive than if she had cruised home and won by half a dozen. Gotta love Ariya's toughness as well as that awesome golf swing. Paul Azinger's criticism of Ariya's good sportsmanship was interesting on a few levels. It was a visceral reaction and I like that Zinger blurted out his disdain. That's what a color commentator is supposed to do: react honestly to what's unfolding. Azinger is old-school in every way, and was one of golf flintiest competitors. No wonder he didn't get it. But after letting it marinate for a little while, Azinger offered more nuanced thoughts and grudging appreciation of Ariya's grace. Sometimes the first reaction isn't the right one. Instead of digging in, he was open-minded enough to see a different perspective. That's also the sign of a good analyst. But the entire episode speaks to a larger problem in the Fox-USGA alliance, which is many of the commentators aren't regulars in the worlds they're asked to dish on. Zinger does one professional women's event a year, and it happens to be the most important. If he spent more time on the LPGA he'd have known that Ariya's good cheer is not unprecedented. It's not Azinger's fault, just a structural problem with the deal. You gotta love how Jack just keeps shooting from the hip. The candor is refreshing, even if it hurt a lot of feelings in the caddie yard. But this is a generational thing. In Big Jack's day, caddying was a pretty loosey-goosey, low-budget profession, and there were lotsa characters between the ropes. Depending on your caddie could be problematic because some of those guys weren't overly dependable. But the role of the caddie has changed, just as the style of play on Tour has evolved. Players are no longer rugged individualists but rather team leaders. The caddie serves as an important conduit, often doing much of the communicating with far-flung swing coaches and reinforcing the teachings of sports psychologists. Caddies crunch ShotLink stats to fine-tune strategy. They can sometimes be seen walking the course when their boss is not around. So of course modern players lean on their caddies more than the Tour pros of Jack's vintage. I don't think it's good or bad, it's just different, but that's enough to bother certain old-timers. No one likes the look of pros having their noses buried those books, but having a topographical rendering of the green is not the same thing as having a putt read for you, just as a sprinkler head with a yardage number doesn't tell you whether to play a low draw or a high fade. Players still have to take the data from the greens book and figure out the pace of the putt, how much it will break and do the cost/benefit analysis of trying to jar it versus a more cautious lag. There is a widespread belief that the greens books lead to slow play but I'm not sure that's true. In the absence of all that information players would have to stomp around the green to view the putt from different angles and spend more time trying to figure out its break. Now, with the addition of practice round doodles and notes, they have all the information they need and can more quickly and decisively know how to play the putt. For starters, the PGA Tour has nothing to do with the Masters – the tournament is run autonomously by Augusta National Golf Club and its various Masters committees. The Pine Valley example is interesting, considering it's an all-male membership that only permits women to play on Sunday late-afternoons. I don't see that club investing a massive amount of time and money in a women's major. The LPGA already has what you describe with the Dinah Shore: a major that goes back to the same venue every year and has a unique origin story. Shore was a tireless promoter of the game and the party that has goes on all around the tournament certainly makes it unique in the golf world. But obviously Mission Hills, while a very nice course, has none of the mystique of an Augusta National, or even a Pine Valley. What the women's game needs is Annika Sorenstam and Darla Moore or some other high-powered woman to found an exclusive all-women's golf club, find an exquisite old nursery with a meandering creek and then hire Tom Doak or Gil Hanse or David MacLay Kidd or Coore-Crenshwaw to build a neo-classic course full of risk and reward and natural beauty. This club could then dedicate itself to running an elite and special tournament. Maybe a female Grantland Rice would help trumpet its creation, and then a charismatic player would make a crucial final round albatross to launch the event. Over time, and with some luck, the tournament could grow into something special, and maybe decades later it would be considered a major championship. Sound far-fetched? It's already happened once. Ahhh, I've always wondered what was Phil Mickelson's burner account. Thanks for tipping your hand, Lefty.